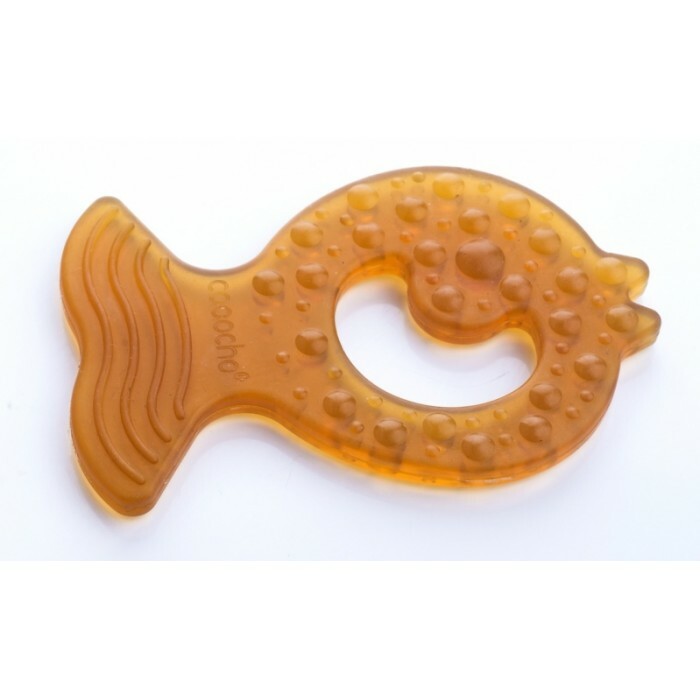 Caaocho® pure natural rubber all-stage teether Fish is 100% natural, just as baby's teething. The teether starts as pure natural tree sap from the rubber tree Hevea that is minimally processed into durable 100% pure natural rubber. Certified BPA, PVC, Phthalate, Nitrosamine and colour free, the teether is completely non-toxic. Our natural teether is earth friendly, it is produced sustainably and is entirely biodegradable. Our pure and natural teether supports your baby through all stages of teething from cutting first incisors to back molars. It offers two different textures to both massage baby's sore gums and provide tactile exploration. Soft and resilient, the teether can be cooled for extra soothing. The lightweight and easy to grasp fish design allows the tail to be used to reach the back gums or teeth. The teether's natural colour, child friendly fish design, and natural softness of rubber encourages your baby to reach for this source of comfort.